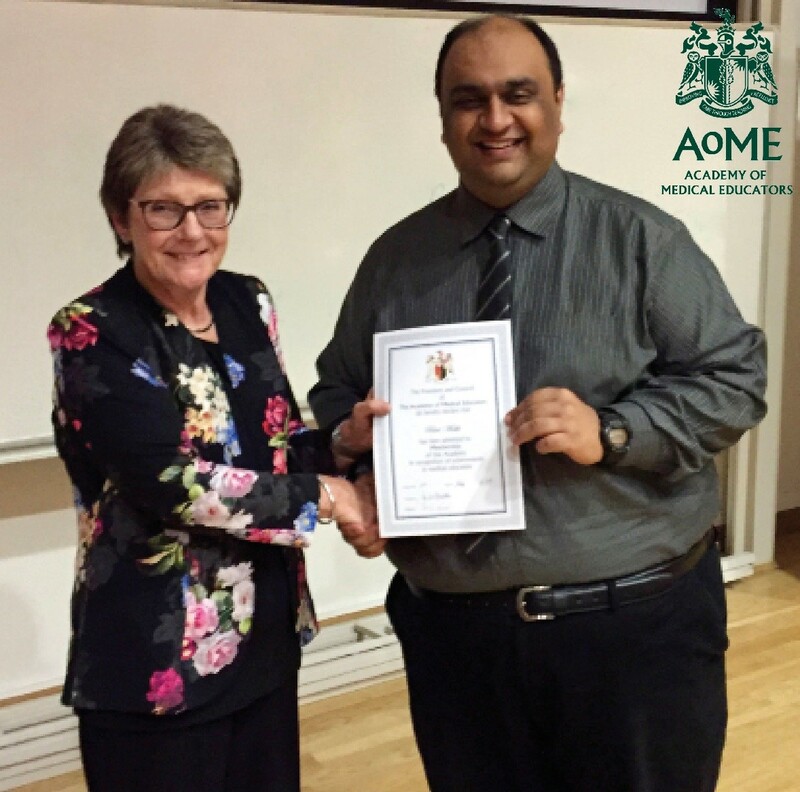 The Academy of Medical Educators presents a number of prizes and awards each year. 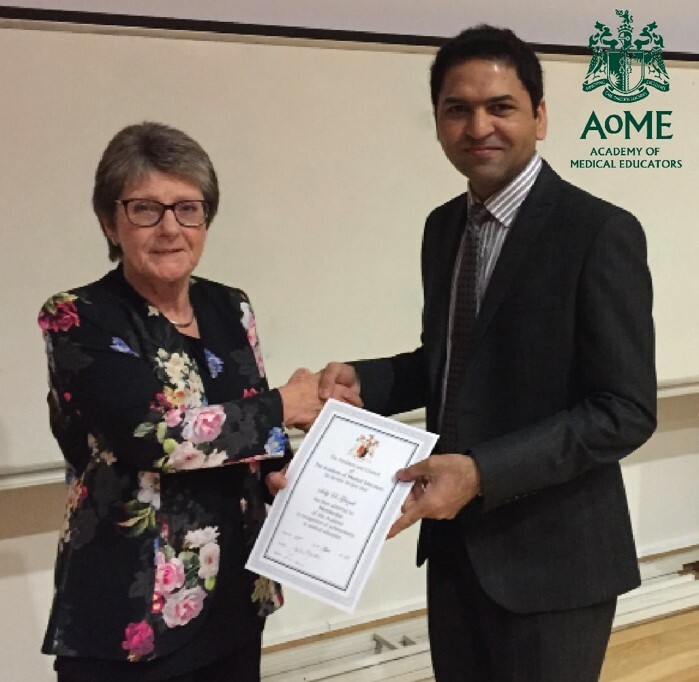 Honorary Fellowship is the highest award of the Academy of Medical Educators. 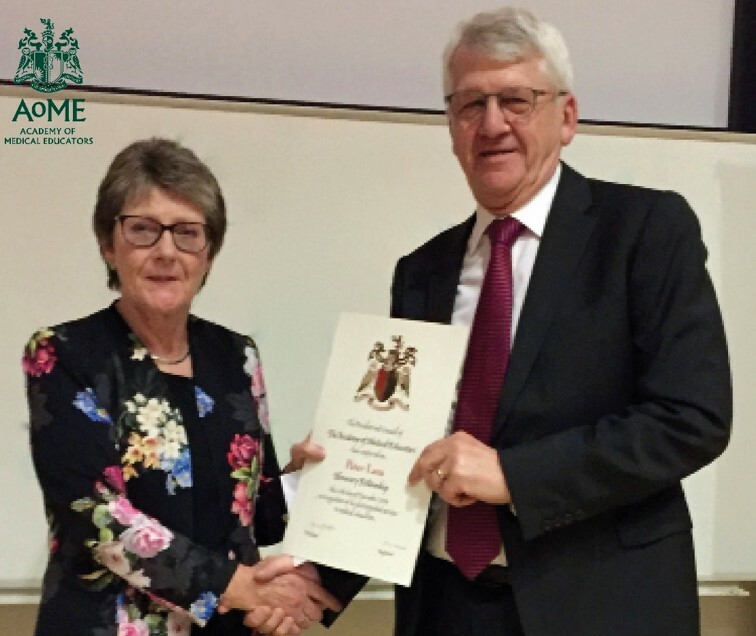 The award is intended for exceptional individuals whose contributions are often internationally recognised and who have made a significant contribution to medical education. 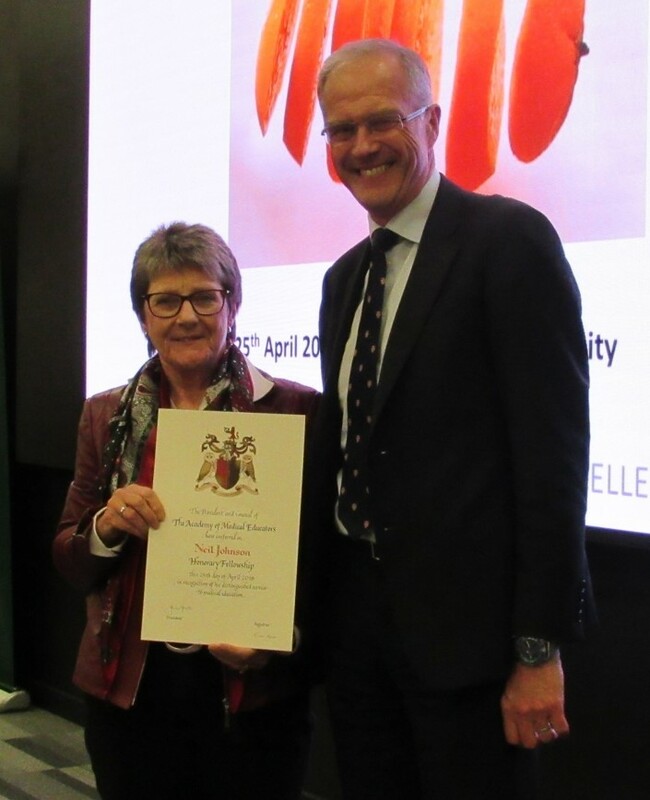 See a list of all of our Honorary Fellows here. 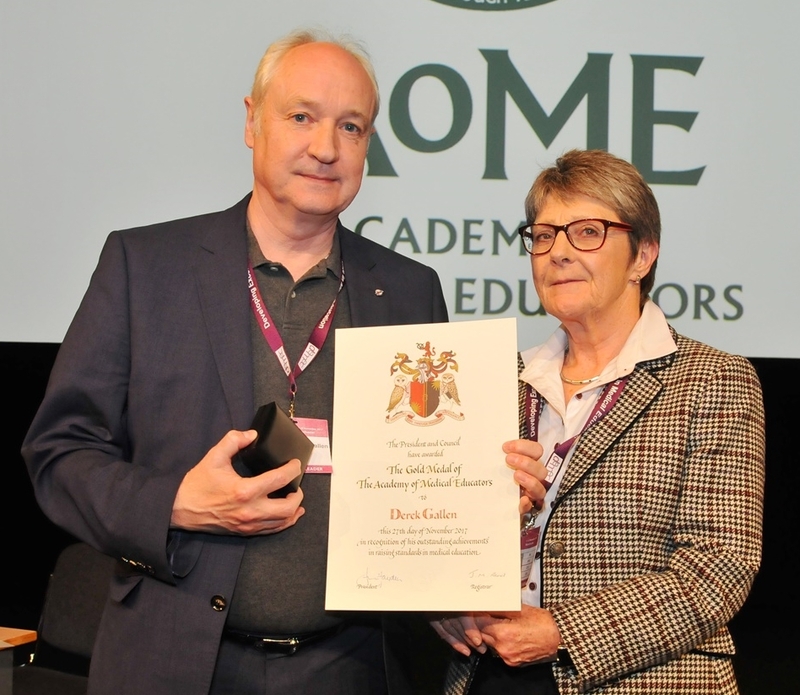 The Academy welcomes nominations for Honorary Fellowship from all Members and Fellows in good standing. 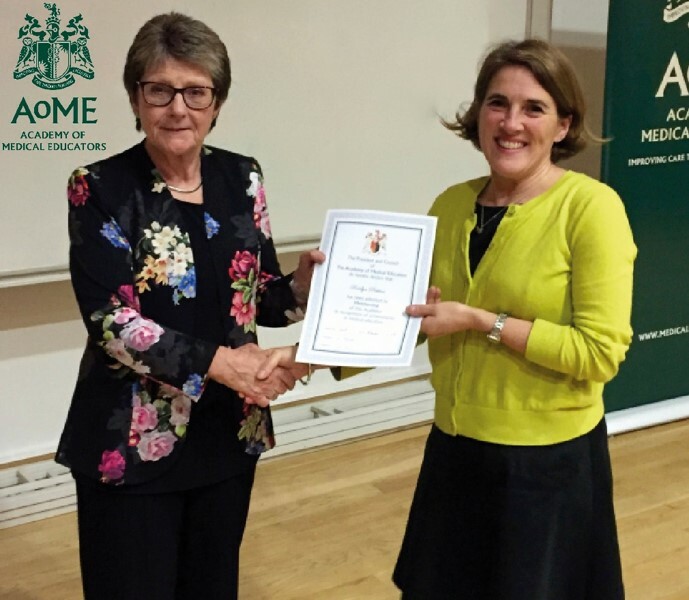 Please log in to the members' area for further details and to make a nomination. 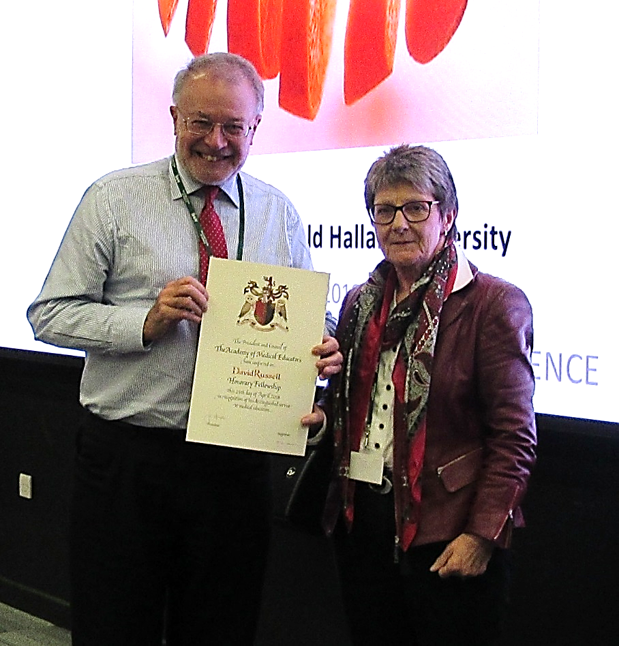 At our Spring Meeting April 2018 in Sheffield we were delighted to award Honorary Fellowships to Professor Neil Johnson, Professor Peter Kopelman, Dr Colin Melville and Mr David Russell. 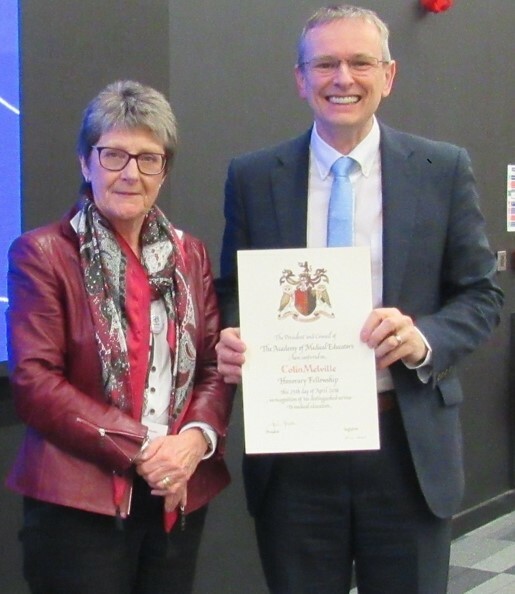 At the Calman lecture in December 2019 we also has the pleasure of awarding Honorary Fellowships to Professor Wendy Burn, Professor David Croisdale-Appleby, Professor Anne Gadren, Professor Sheila the Baroness Hollins and Professor Peter Lees. 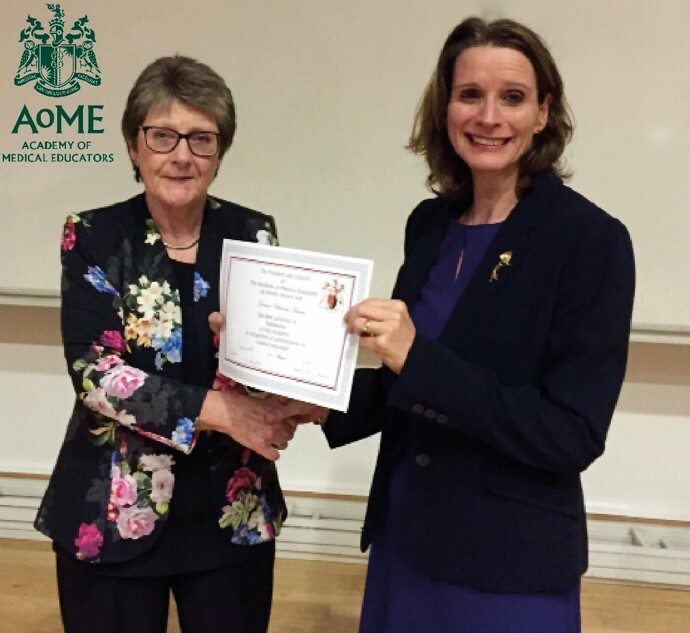 To read more about them please download the Spring Meeting Awards booklet 2018 and December Awards booklet 2018 here. 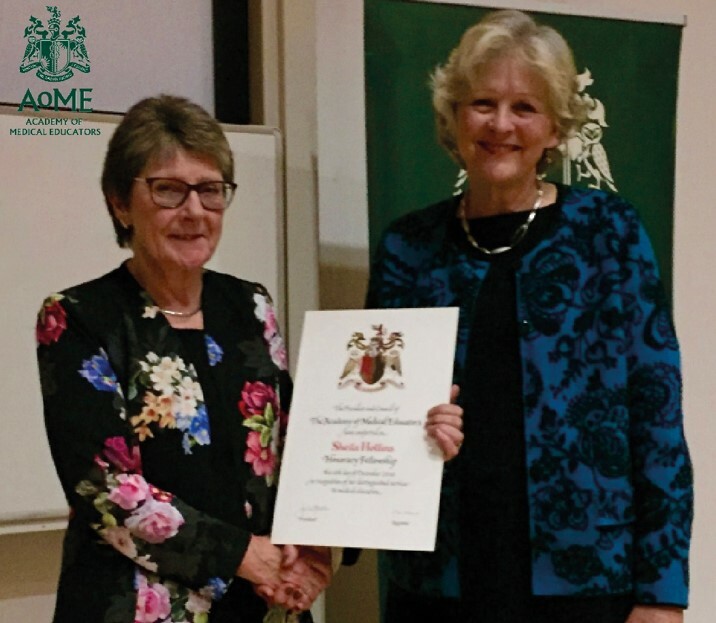 The President’s Medal is presented to an individual who has made an exceptional and sustained contribution to medical education and who will not usually have achieved recognition previously by other medical education organisations at a national or international level. 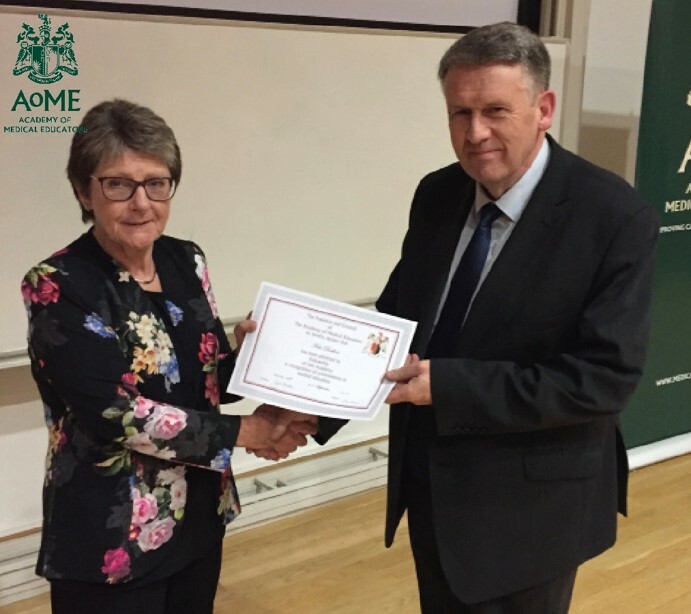 The 2017 medal was awarded to the late Vicky Osgood, in recognition of all her achievements in medical education, and awarded to her husband Dr Danny Dubois. 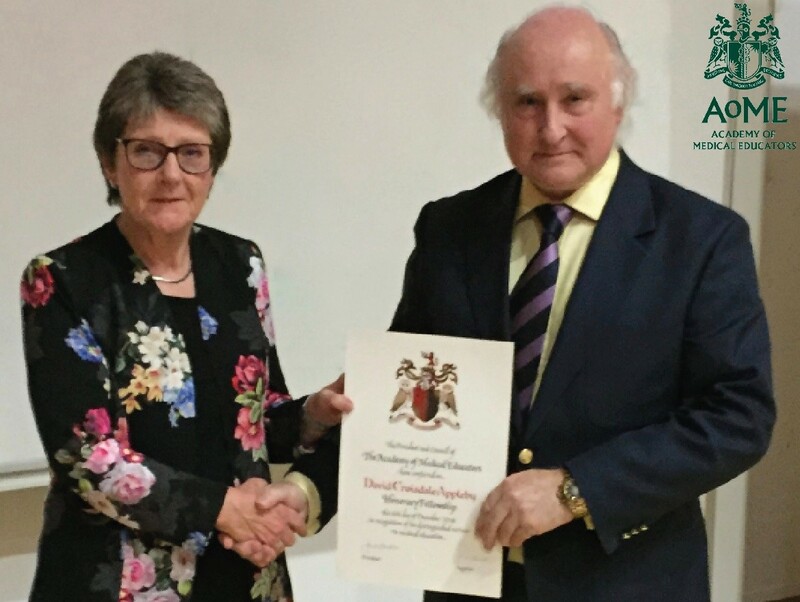 The President paid tribute to Vicky and conveyed the medical education comunity's respect for her and sadness at her death earlier in 2017. 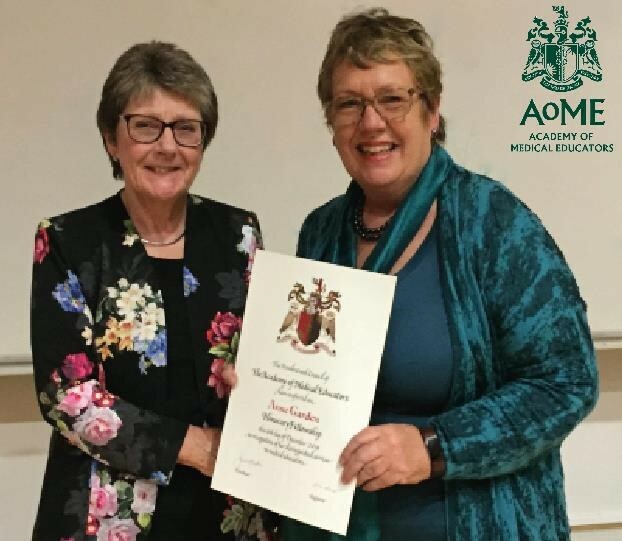 The Gold Medal of the Academy of Medical Educators is awarded occasionally to individuals who have made an outstanding contribution to the Academy's work raising standards in medical education. 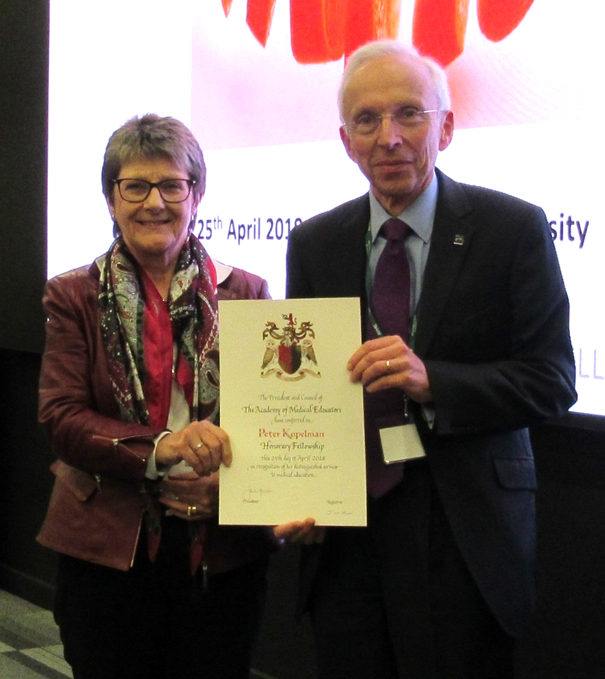 Professor Derek Gallen The President was delighted to award the Gold Medal to Professor Derek Gallen in recognition of and gratitude for his commitment and dedication to the Academy since its inception in 2006 and his tremendous achievements as President from 2014 to 2017. 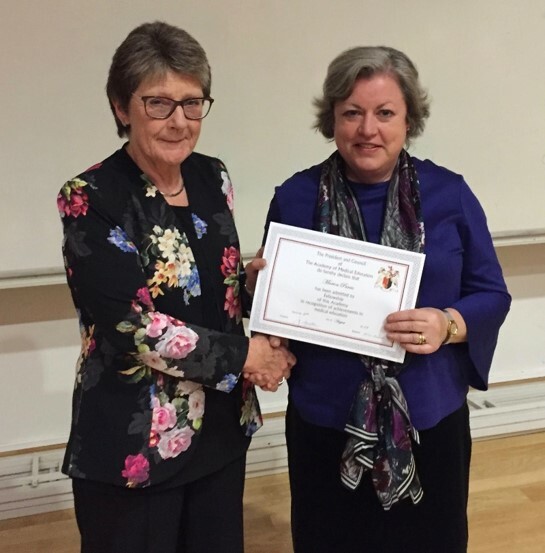 Members and Fellows. 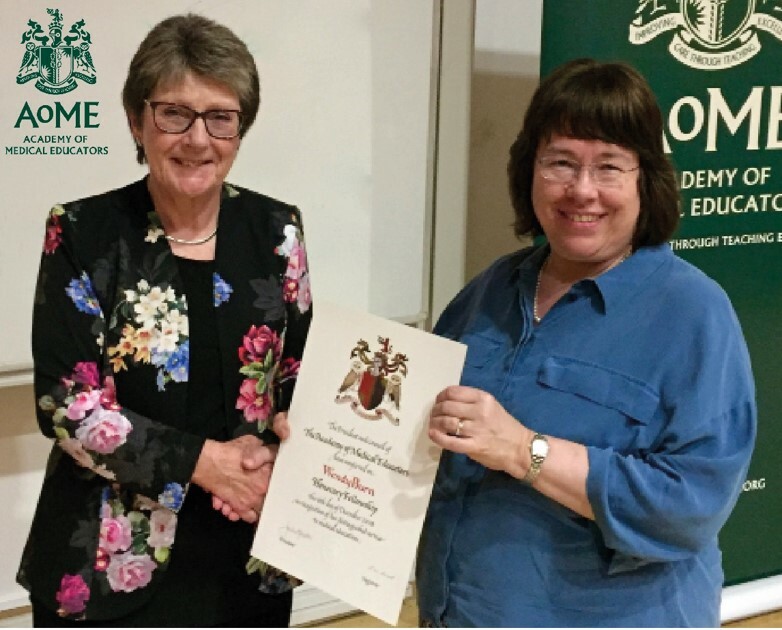 The President and Registrar were also very pleased that a number of new Members and Fellows attended the evening to receive their certificates.